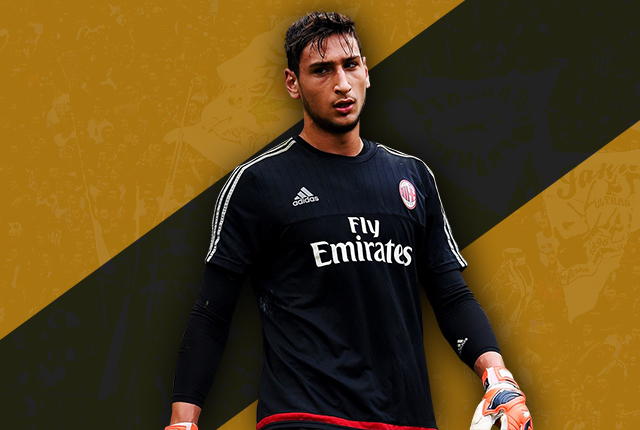 Sergio Rico | Sevilla | Spain | 21 | Goalkeeper: Villareal played host to Sevilla in El Madrigal this past weekend. The away side kept themselves in the hunt for Champions League football with an important victory. Young Sergio Rico will also be delighted to have kept a clean sheet in a tough away fixture. The 21 year-old did well to save Moi Gomez’s shot across him and Coke was alert enough to clear the rebound. He also closed the angle quickly when Gerard Moreno bore down on him from the right flank and ensured that the shot went wide. To be fair, he did owe his clean sheet to the frame of the goal which came to his rescue on two occasions but it was a more than satisfactory performance from the Spaniard. 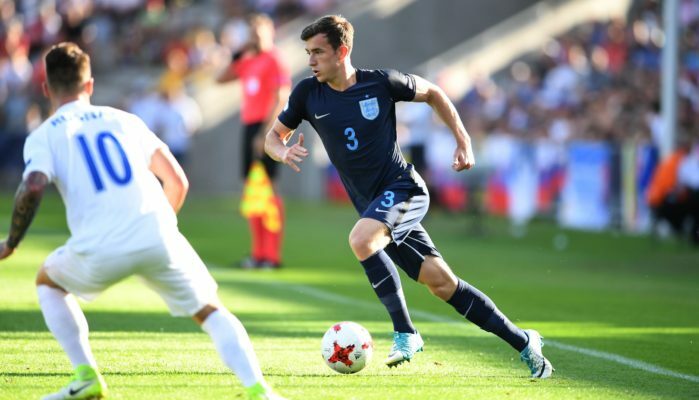 Calum Chambers | Arsenal | England | 20 | Right Back: The ex-Southampton man Calum Chambers was given the nod at right-back against Newcastle United. The 20 year-old may have been forgiven for thinking that he was going to enjoy a comfortable game at the back after Arsenal dominated proceedings in the first half and went into the break 2-0 up courtesy goals from Olivier Giroud. However, the game was turned on its head in the second half as a spirited Newcastle performance saw the Gunners’ defence tested to the limit. Chambers had a big role to play as Arsenal battled through to an important away victory. The youngster won a commendable 6 aerial duels, made 9 tackles, 4 interceptions, and 4 clearances committing only 1 foul in the process. Joachim Andersen | Twente | Denmark | 18 | Centre Back: FC Twente would have been happy to emerge with a draw from their game against Groningen. The latter dominated proceedings but it was Twente who took the lead twice, the second of which was through Joachim Andersen. The centre-back put his side ahead turning home a Hakim Ziyech free kick. It was far from his only contribution to the game though as his defensive contribution played a part in ensuring a draw. He made 13 clearances- the most by any player in the match, 4 interceptions, and blocked 2 shots. John Stones | Everton | England | 20 | Centre Back: QPR may be in the relegation zone but a trip to Loftus Road can be tricky for any opposition. Everton on the other hand were a little too close to the bottom 3 for their liking and were looking to bounce back from their European disappointment. The away side did come away with an important 2-1 victory with Aaron Lennon scoring the winning goal. The Merseyside club were tested though as QPR bombarded them aerially but the centre-back partnership of Stones and Jagielka stood their ground. The latter won an impressive 8 aerial duels, made 4 interceptions and 15 clearances to seal his spot in this week’s Team of the Week. Jordan Amavi | Nice | France | 21 | Left Back: The game between Lyon and Nice provided one of the upsets of the week with the away side incredibly coming away with all 3 points. Carlos Eduardo’s bicycle kick put the visitors ahead but after Lloyd Palun was sent off and Gonalons put away the resulting penalty, it looked like another Lyon victory, However, Nice held on with Jordan Amavi putting in a disciplined performance at left-back. The 21 year-old made 4 tackles, 9 interceptions, and 7 clearances as the 10 men side not only kept Lyon’s attack at bay but also found themselves a late winner. Andre Gomes | Valencia | Portugal | 21 | Centre Midfield: Valencia beat Elche by a convincing 4-0 margin and Andre Gomes played a large role in the victory. The midfielder was on spot to turn home the rebound after Tyton’s save and made no mistake. He also played a prominent role in Valencia’s 2nd as he did well to run into space on the right hand side before finding Paco Alcacer with his cross. The midfielder played 2 key passes throughout the game and was generally involved in a lot of the play as Valencia consolidated their place in the Champions League qualification spots. Johannes Geis | Mainz | Germany | 21 | Centre Midfield: Mainz continued their good spell under Martin Schmidt as they took points off high flying Wolfsburg in a 1-1 draw. The home side took the lead early in the game after Johannes Geis’ precise corner found the head of Niko Bungert who made no mistake. Indeed, 21 year-old’s dead ball prowess was on display throughout the night especially with a sumptuous free kick that cannoned off the crossbar. The central midfielder took 5 shots, made 6 key passes, 5 interceptions, and 17 long balls in a display which showed why he’s being linked to big names in Germany. Marco Verratti | PSG | Italy | 22 | Centre Midfield: PSG hosted Lorient as they looked to stay ahead in what is looking like a fascinating title battle. The Champions overcame the visitors in a 3-1 victory courtesy a hat-trick from none other than Zlatan Ibrahimovic. Laurent Blanc’s side got off to a fast start with an early penalty but were pegged back by Jordan Ayew’s equalizer. They did score 2 goals in the last 10 minutes, the latter of which owing to Verratti’s excellent play. He intercepted the ball and set-up Zlatan who just had the keeper to beat. The Italian made 3 key passes and generally kept the ball well as we’ve accustomed to seeing. He was also at his combative best making 8 tackles and 4 interceptions in the middle of the park. Michy Batshuayi | Marseille | Belgium | 21 | Striker: Batshuayi started the game on the bench but was called upon at half time as he replaced Andre-Pierre Gignac. He justified the manager’s faith in him almost immediately as he scored within a minute of the restart. The 21 year-old broke the deadlock with a closed range effort which was in truth a lucky finish. He also played a part in the build-up to Marseille’s 3rd goal, feeding the ball to Benjamin Mendy who in turn picked out Andre Ayew. The Belgian International was on hand to put the icing on the cake as he calmly slotted a right footed finish past Rudy Riou late in the game. A substitute appearance to remember for the youngster. Harry Kane | Tottenham Hotspur | England | 21 | Striker: Harry Kane celebrated his first senior England call-up in style as he scored his first premier league hat-trick in a 4-3 win against Leicester City. The 21 year-old opened the scoring to nobody’s surprise as he tucked away the rebound from Kasper Schmeichel. His second was more fortunate as a scuffed shot deflected off Huth to nestle into the corner and he duly completed the hat-trick with a clinical penalty. He also exhibited good movement throughout the game and always made it 4 after a well timed run to the back post. 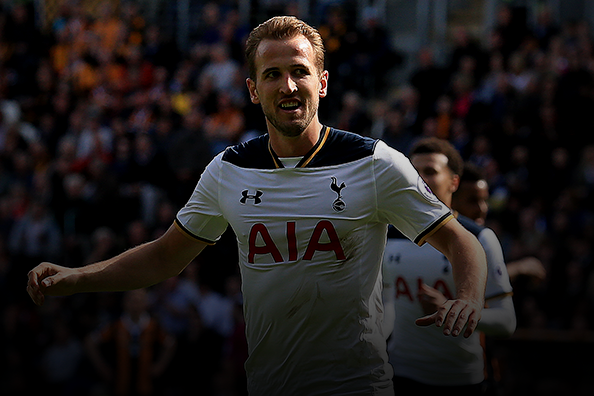 With 3 goals from 4 shots, Kane showed why he’s one of the most in-form players in England right now. Anass Achahbar | Feyenoord | Netherlands | 21 | Striker: Feyenoord hosted table toppers PSV in the past week and it turned out to be a day to remember for young Anass Achahbar. The 21 year-old scored both the goals for the home side in the 2-1 victory. The first goal was as absolute beauty as Achahbar let a long ball drop over his shoulder before scoring with a spectacular first time left footed volley on the half turn. He showcased his excellent technique once again minutes later as he volleyed the ball from the edge of the area across the ‘keeper after playing a one-two which included a neat backheel. The striker showed he was willing to try his luck throughout his stay on the pitch with 7 shots, 4 of which were on target.